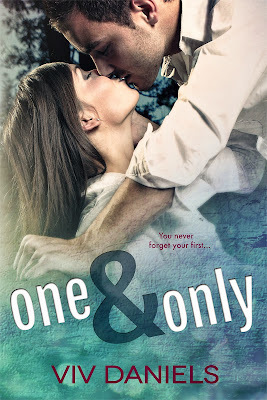 I'm so excited to share with everyone the cover for One & Only by Viv Daniels. Viv Daniels is a pseudonym for the one and only Diana Peterfreund. I had the fortune of reading For Darkness Shows the Stars earlier in the year and I absolutely fell in love with the book and the writing. Since then I have been eagerly waiting for its companion Across A Star Swept Sea. So when I found out that Diana was writing a new romantic novel under a different name I was so excited. I can’t wait to read One & Only, which comes out on the 8th of November. Be sure to add it to your goodreads and keep an eye out for it. So without further ado here's the cover for One & Only. The cover was designed by Okay Creations. Don't you just love the colours used. The blue and the green really make the cover stand out.